Stay informed with our real time comprehensive market analysis reports and financial news . 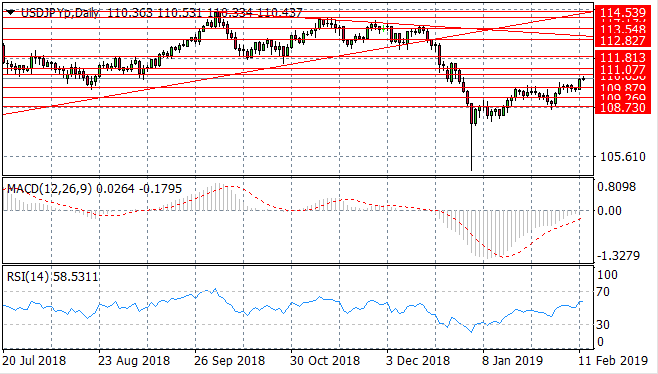 The USD/JPY pair has bounced along the 109.87 price level for the last week or so as a series of doji candles represent indecision. Momentum indicators are bullish as MACD approaches the zero line with a potential upside break and RSI begins to test the default line. The next target for buyers is the 110.56 price level. The EUR/USD pair has suffered a significant sell- off during the start of the trading week. 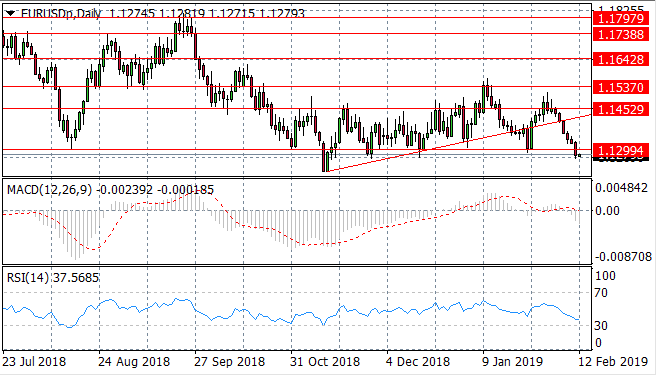 A break of the 1.129 price line is significant as it represents a strong support level which on multiple occasions has resulted in a bullish reversal. The downtrend may be here to stay. Momentum indicators are bearish with RSI approaching the 30 oversold area and MACD breaking the zero line. 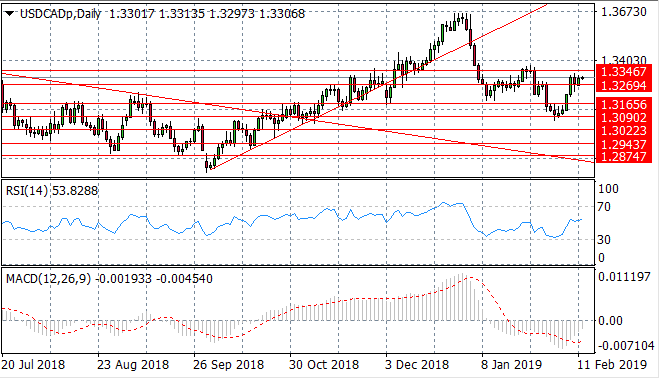 The GBP/USD pair has broken the 1.292 price level and therefore, sellers' next likely target will be the strong support line at the 1.269 price level. The gradual decline in volume may suggest that appetite is waning, however, fundamental factors are most likely to impact this pair. 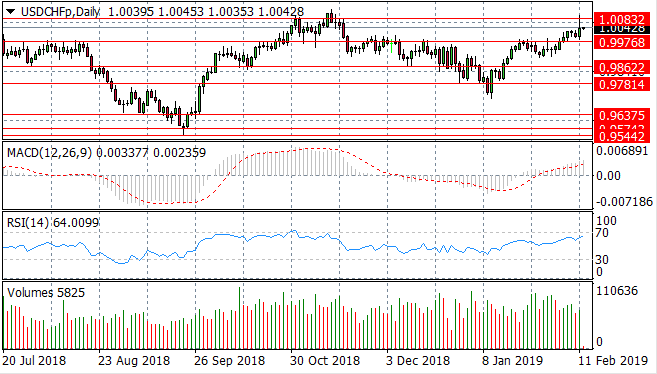 Despite spiking through the recent high at 1.008, the USD/CHF pair has once again been pulled back towards the 0.997 resistance level. The inverted hammer candle is an indicator of the change in price trend. Momentum indicators indicate deceleration of the uptrend. Selling pressure is rising. 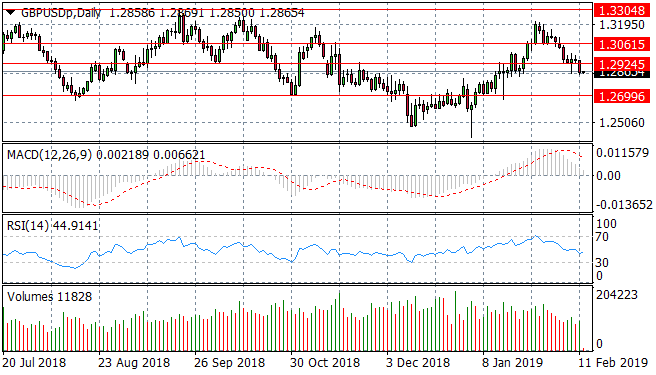 The USD/CAD pair remains volatile. A test of the 1.326 price level has resulted in price action heading towards the 1.334 resistance line. Momentum indicators appear to be undergoing a bullish momentum reversal as MACD approaches the zero line and RSI breaks the default line. 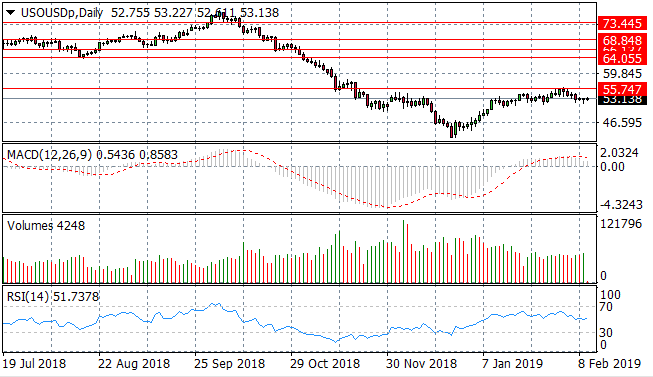 Silver continues to test the 15.69 price level yet the metal has been unable to break the former resistance line despite rising selling volume. Momentum indicators reflect the bearish sentiment with RSI developing a downward trajectory and MACD approaching the zero line. 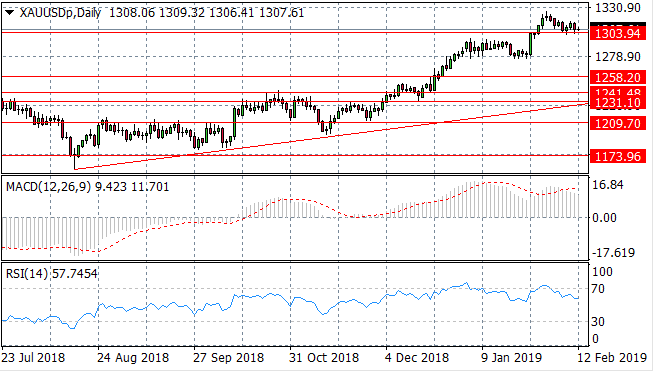 Gold has broken the 1303.94 price level however the metal continues to test the price level. Momentum indicators highlight that sentiment has turned more bearish. WTI buyers have returned with moderate bullish moves to take WTI beyond $50 per barrel. 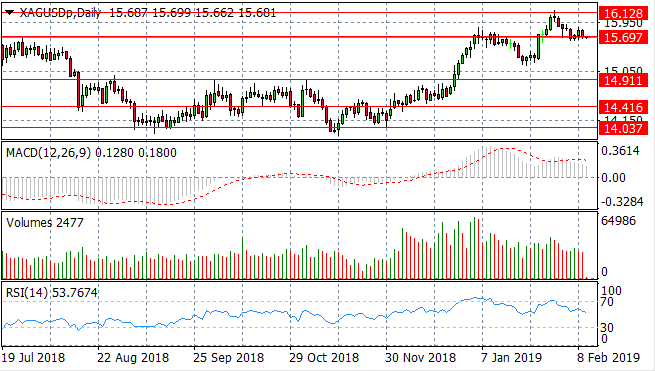 A former support area at 55.74 price level will be a target for buyers. Tight trading conditions are reflected in flattening volume and small- bodied candlesticks.